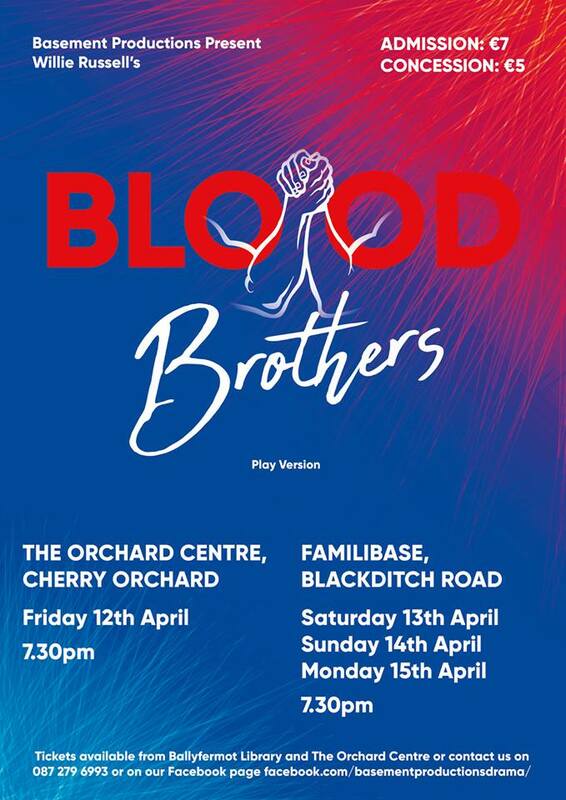 The play Blood Brothers is taking place in April in Cherry Orchard and Ballyfermot. Tickets are priced at €7 (€5 for Concession). Tickets are now available for purchase in Ballyfermot Library and The Orchard Centre or contact 087-279 6993.